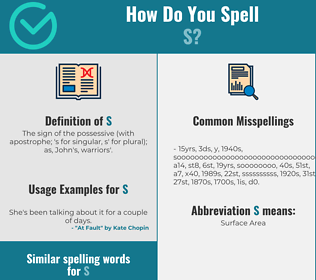 How Do You Spell S? Correct spelling for the English word "S" is [ˈɛs], [ˈɛs], [ˈɛ_s]] (IPA phonetic alphabet). 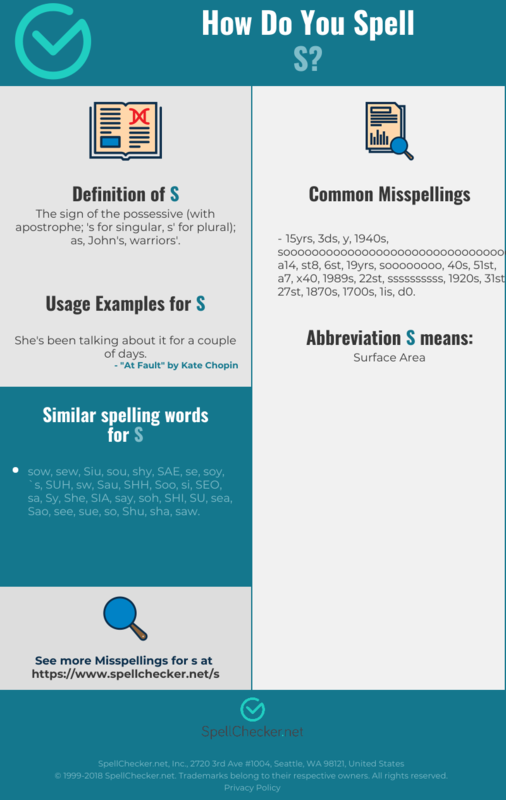 Below is the list of 287 misspellings for the word "s". The sign of the possessive (with apostrophe; 's for singular, s' for plural); as, John's, warriors'.